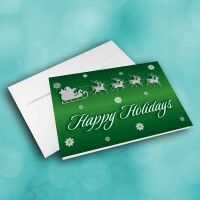 Let Santa Claus carry your holiday greetings with this Santa holiday card. Nothing embodies Chrismas quite as much as Santa Claus himself, so share that spirit, with this Santa Christmas card. 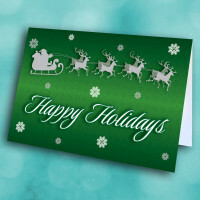 A silhouetted Santa Claus, with his sled and raindeer, flys through detailed snowflakes on the dark-green, patterned background. 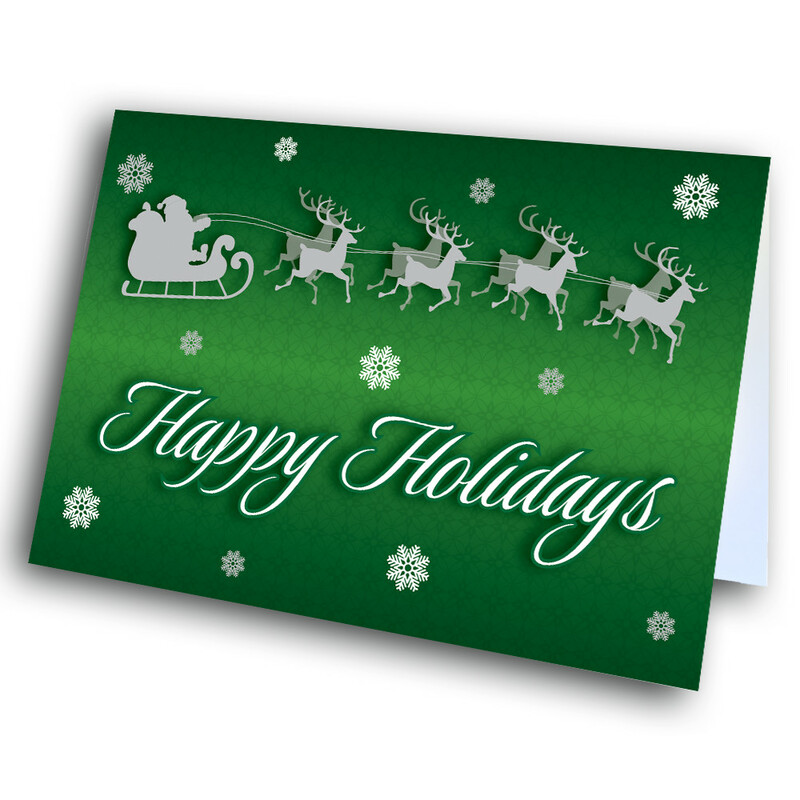 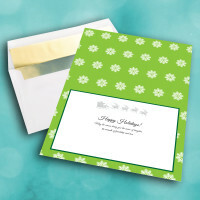 Inside, the light-green background is dotted with more snowflakes, while Santa flys again over a meaningful message. 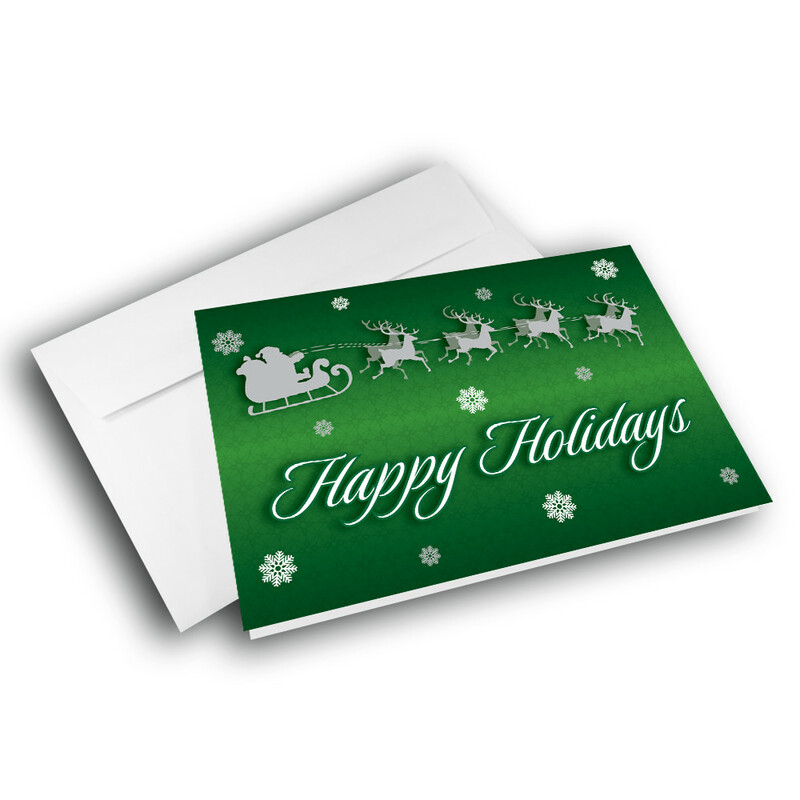 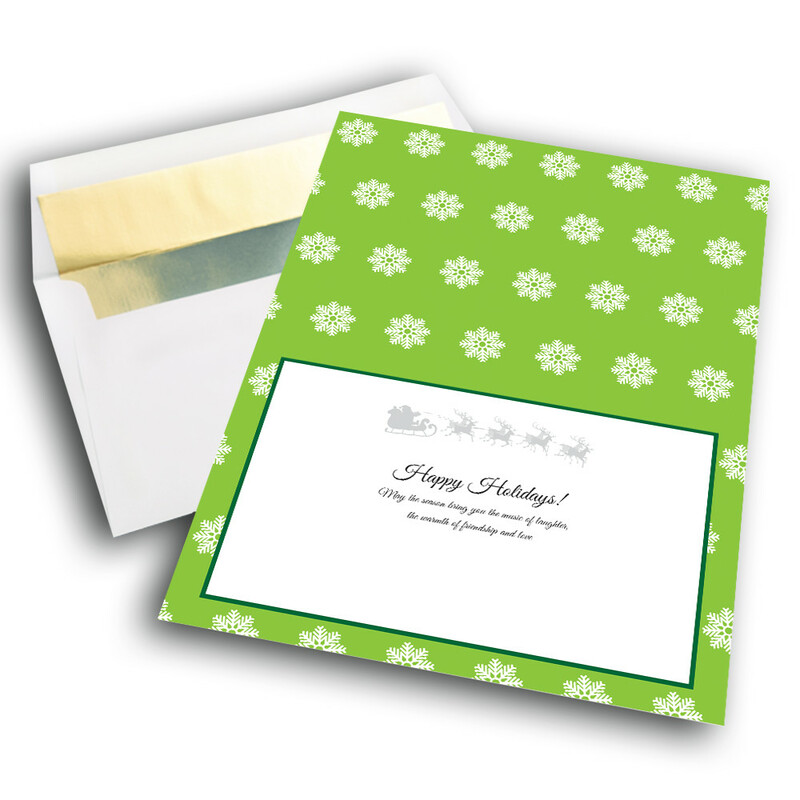 This message can be personalized to give the card a unique, personal touch.